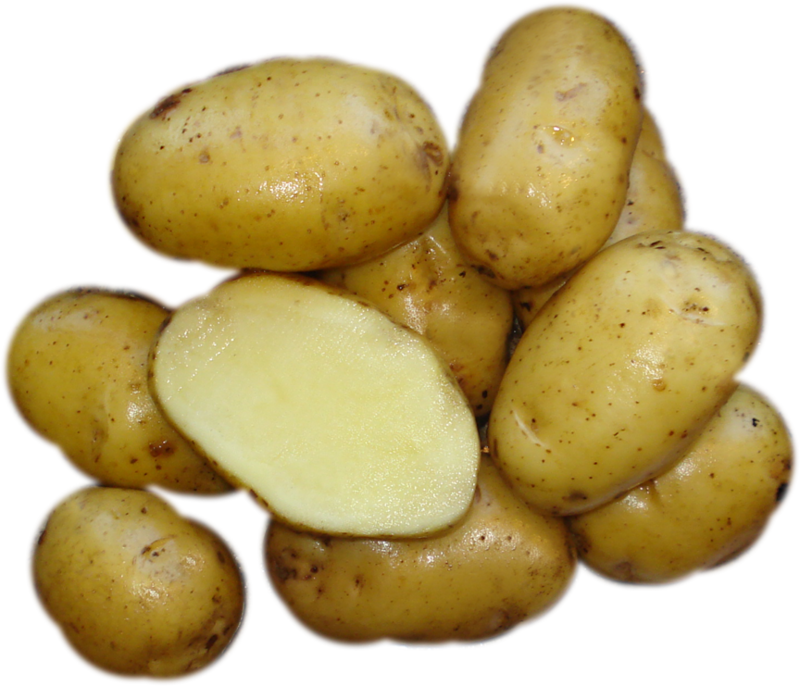 Originating in 1910, bintje has a pale yellow skin on a long oval tuber with a yellow flesh. Heavy setting, the thick skin makes this a good storage potato. Excellent all purpose potato with fairly dry texture. Originating in 1910, bintje has a pale yellow skin on a long oval tuber with a yellow flesh. Heavy setting, the thick skin makes this a good storage potato. Excellent all purpose potato with fairly dry texture. It has traditionally been used in both mashed and fried.